When you see pros taste their wine, you really cannot help but ask… How do they do it? How can they swirl, sniff, and sip their way through a hundred wines and know for sure that the best among them is the forty-second? Most people think that tasting like a pro is so mysterious, it is a God-given gift, an innate talent you cannot learn. But here is the truth about it: anyone can develop a wine palate. Understand that your palate involves different sensory areas: the tongue, taste buds, and the nose. Developing the palate of a pro means being aware of what happens in those three areas when sipping on beautiful vino. Here are techniques to help you stimulate your senses and develop your wine palate. Perhaps you are asking, why the see and smell? Why not just go straight to the tasting? Seeing and smelling is important in wine tasting because it gives you an idea about the wine before you even taste it.Foretaste; that is what it is. Savour the wine when you sip it. Wine experts from Gerard’s Bar say that by savouring each sip, you are actually activating your senses and this helps you identify the distinctions between wines. You have to pay attention not just to the flavours of the wine, but also to its texture, because it enhances the flavour. Texture is commonly called the mouth feel, as it refers to that sensation in the mouth. Texture may be creamy, velvety, oily, silky, smooth or juicy. 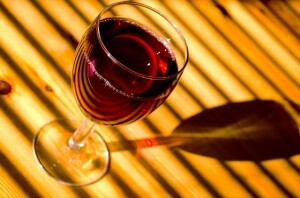 Red wines have a more apparent texture. This is because they contain tannin, which has distinct tactile features that can give you a feel of super smooth or chewy or coarse. It is difficult to remember how a madeira tasted minutes after drinking it. Make sure to jot down your impressions, identify the flavours and texture for every wine you tasted. Bring a notepad with you when you go to wine bars and wine tasting events. Lastly, practice, practice, practice. You will be more experienced as you taste more wines. Keep these things in mind and swirl, sniff and sip wines like a pro!